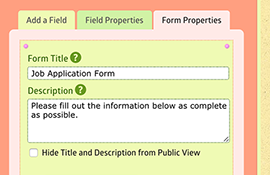 Quickly change the form’s title, description, success message, and other settings. 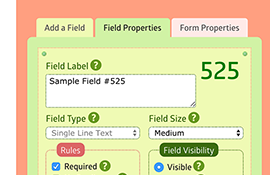 Build a large form with 500+ fields. The MachForm engine handles it well. 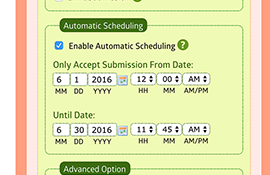 Automatically enable the form for certain periods of time only. 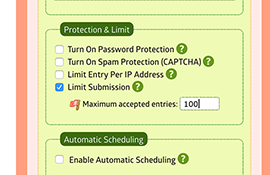 Automatically disable the form when the number of entries reaches the limit you set. 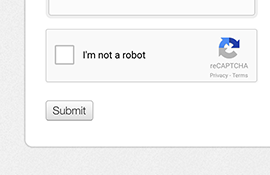 Enable image or text CAPTCHA to protect your forms from spambots. 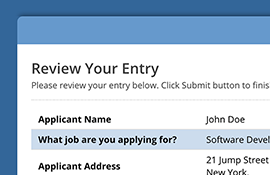 Display a confirmation page prior to final submission. 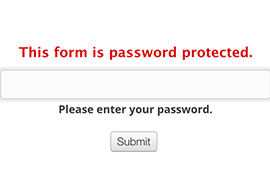 Create password-protected forms and use HTTPS. 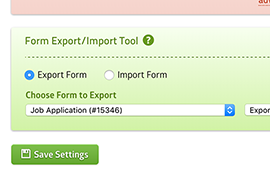 Use different languages for your forms. Over 20 languages are available. 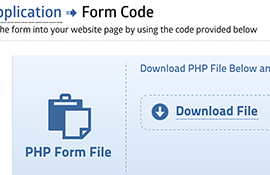 Quickly copy your form from one instance to another.